Investors are hitting the reset button on their big media bets. Major media company stocks slid for the second day in a row on Thursday, from 21st Century Fox (FOX) (down 6.4%) to Comcast (CMCSA)(down 1.8%). Viacom (VIA), which owns channels like MTV and Nickelodeon, tumbled the most on Thursday, more than 14%. Its quarterly earnings came out on Thursday morning, and profits were in line with expectations, but investors were fearful anyway. Stock in Disney (DIS), which led the sector downward on Wednesday with a 9% loss, fell a further 1.9%. Time Warner (TWX), which owns CNN, fell 0.8%. Scripps (SNI), which owns the Food Network and HGTV, fell 6%. For much of the day, the stocks were in even worse shape, but they rebounded somewhat before the closing bell. Discovery Communications (DISCA) fared better than the rest of the big media stocks on Thursday, gaining 3.5% after a dramatic 12% drop on Wednesday. Analysts say the industrywide downturn is a result of widespread anxiety about the future of the cable television bundle. Most major media companies depend on monthly subscriber fees for cable channels, but the bundle is under increasing pressure from streaming competitors and behavioral changes. "Questions about the death of Pay TV are now front and center even if the size and pace of declines are likely being overstated," MoffettNathanson senior analyst Michael Nathanson wrote Thursday morning. Disney seemed to trigger the current round of questioning when the company reported second quarter earnings on Tuesday afternoon. Disney CEO Bob Iger confirmed that ESPN has lost a relatively small but nonetheless significant number of subscribers, resulting in smaller-than-expected profits from Disney's cable channels business. Iger strongly defended ESPN and the broader cable business, but investors were apparently spooked. Other data points have also caught the attention of Wall Street. In the second quarter, cable and satellite providers like Comcast and Dish Network (DISH) continued to have trouble holding onto subscribers. While only a relatively small number (a couple hundred thousand) canceled service entirely, others opted for smaller packages of channels, which is why channels like ESPN have been hurt. The vast majority of homes continue to pay for some form of TV, and media CEOs say they're confident that will continue. But this week they've been acknowledging that further fractional losses are likely. 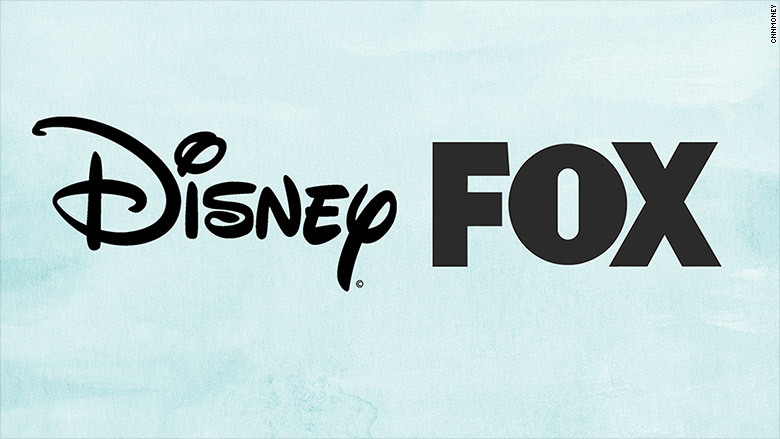 Companies like Disney and Fox are also poised to make more money from new streaming services, too, thereby supplementing revenue from their traditional cable businesses. But no one knows how it's going to shake out. That's why there is palpable fear in the marketplace. Netflix (NFLX), meanwhile, continued its upward trajectory, gaining another 2.1%. The company continues to hit new highs -- a dramatic contrast that underlines how Netflix has been a winner in the ongoing digital revolution.